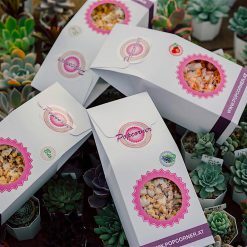 Organic and Vegan Popcorn Blue Moon may seem like your typical popcorn, but has flavors elevated to new heights. 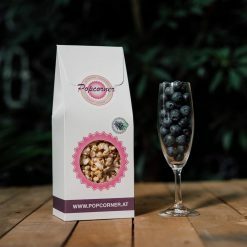 Encorporating blueberries give the popcorn a sweet yet wild flavor and the vibrancy of the blueberry’s color is transalted to the popcorn, which makes it perfect for a snack to impress. Without compromising on taste it is also vegan, organic, GMO-free and gluten-free. 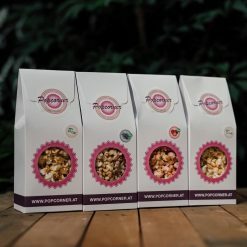 Organic and Vegan Popcorn Blue Moon 4 Pack is JAS certified organic and contains approximately 320g of popcorn. The product itself is made by Popcorner, founded by sisters Emina and Sanela in Austria.